From a young age I have followed my dad on his hīkoi looking after Tuna here at Waikaremōana. He talked to me of his concern of the power station at Piripāua and how this used to be a natural route for the elvers to take to reach the upper lakes. But with the structure there it found that the elvers were getting cut up by the rotating machines that are submerged. 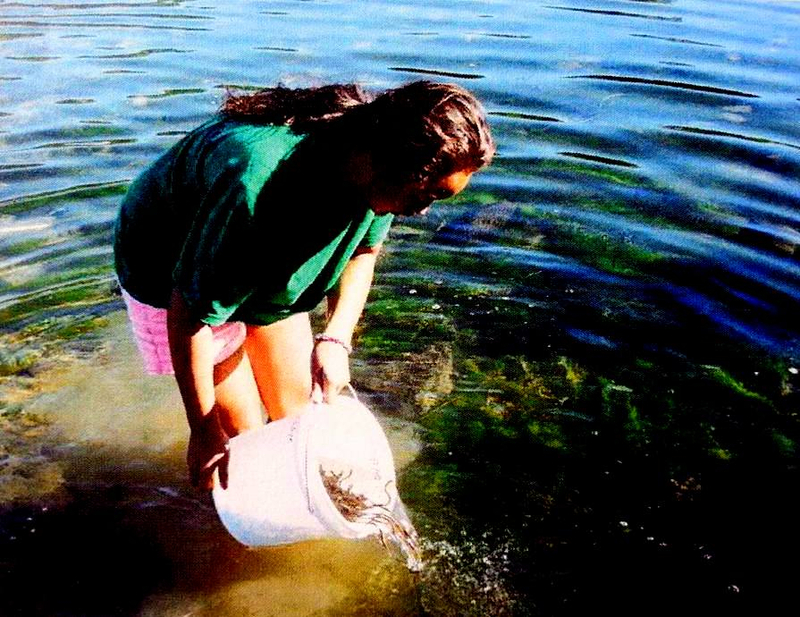 So an elver trap was placed at Piripāua where the elvers would travel up a pipe and into a container. From there they are measured and weighed and then transferred to the upper lakes, ponds, rivers and streams of Waikaremōana. This is one way our waterways are stocked with traditional kai. Kai that our tīpuna gathered. Our waterways are being stocked for my people, for me and my whānau and for the upcoming generations. Na Rehe Waiwai (Nāti Hinekura) na kupu.